SEPTA's unique training program was the vision of its Assistant GM, Operations, Luther Diggs, who realized that not enough was being done to retain drivers (training session pictured). To improve customer service as well as decrease confrontations with passengers and driver assaults, the Southeastern Pennsylvania Transportation Authority (SEPTA) teamed up with Philadelphia's Red Kite Project LLC to create a unique training program that focuses on the life experiences of the drivers. The program was the vision of SEPTA's Assistant GM, Operations, Luther Diggs. Diggs realized energy, time and money was being expended to recruit operators, but not enough was being done about the retention of those who had made it through the process. "What we were looking to do is come up with a format that would address people's social skills — what brought them here, their life experiences," explained SEPTA's Chief Surface Transportation Officer Michael R. Liberi. "When they come to SEPTA, they are exposed to a very structured rules and regulations, policies and procedures work environment. We were having limited success to how they were adjusting and how we were trying to emphasize the importance of that structure while working in a customer-focused industry." Liberi added that the search for a different type of driver training stemmed from customer complaints about how they were treated by drivers, both via verbal altercations and body language, as well as typically low scores for operator behavior on customer surveys. Following a bid process where SEPTA explained exactly what it was looking for, the authority teamed with Red Kite to develop the training program. 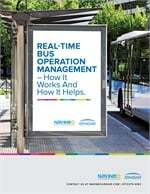 "We did a needs assessment and found out the special issues that the bus operator was confronting here in Philadelphia, and when you use some of those things, it becomes a more relevant experience not just for new operators but senior operators as well," said Charlotte DiBartolomeo, CEO/lead facilitator at Red Kite. "A lot of other programs that may do something that is interactive do not require the operator to address him or herself. When you start to look at yourself, see what your identity is, where your identity comes from and how it has been shaped, you see yourself as a survivor rather than a victim and create some tools that will really make a difference." The one-week interactive, psycho-social training program uses several methods, including mini-lectures as well as small group discussions, case studies and role-play scenarios. One part of the training includes the drivers going out into the streets to interview both customers and citizens in the area to get their reactions about what they think of SEPTA and how they feel they are treated by drivers. "It's not just about the job, this is something that is incredible foresight on SEPTA's part to try to envision something that provided not only job skills but life skills," said Red Kite Chief Operating Officer Zachary Stone. "A lot of people teach employees to compartmentalize, but SEPTA realized it just can't be about that. You have to transform your whole life to be a full person and give the best service you can." SEPTA began using the new training method in July 2010 for new hires, prior to its regular driver training. The program's success has also led to SEPTA adding a training program for veteran operators, which began last fall, and managerial training that was slated to begin in late 2011, early 2012. "When you can change the dynamics of how veteran operators start to think and feel about the manner in which they are being treated and valued as people, rather than just an employee, you can bring about significant change, a quantum leap if you will, over where we have been and what we have been doing," said Liberi. Stone added that the success of the program to this point has extended beyond the workplace. "We're speaking with operators and they report back high numbers of commendations that they are receiving," he said. "Also, veteran operators are reporting new outlooks in the way they view their passengers and changes in the way they want to live their life as an operator and a human being."